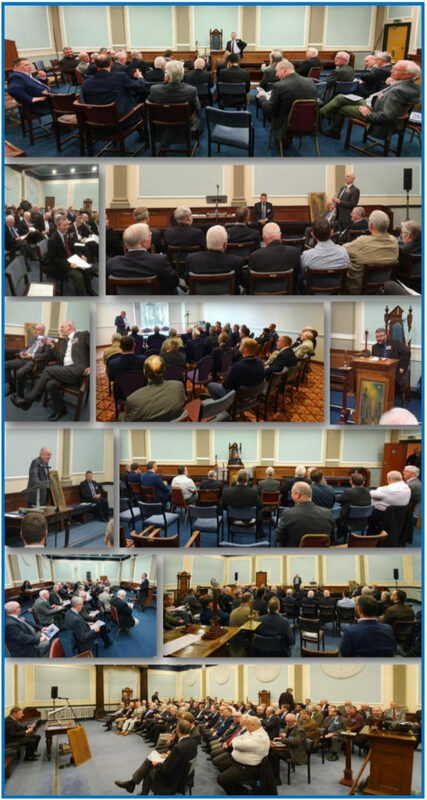 The 11th ‘Let’s Talk Masonry’ Conference was held again at Salford Masonic Hall and just gets better and better. The Conference organised by our Learning and Development committee and which is open to all Masons attracted almost 100 attendees including eight extraordinary presenters and throughout the day a huge array of Masonic books were available to buy via Tony Costello on behalf of MAMR, the Manchester Association for Masonic Research: www.mamr.co.uk. The morning and afternoon keynote addresses were given by firm favourites Chris Powell and Tony Baker, two of the leading speakers on Masonic topics in the whole of England and both members of Quatuor Coronati Lodge No. 2076, the oldest and leading research lodge in the world. L&D’s Events Chairman Jo Glass opened the Conference and the tone for the day was set by our PGM, Sir David Trippier, a regular attender and staunch supporter of LTM, in his own inimitable and informative manner. Chris Powell then delivered his thoughts on the subject of ‘Climbing the Ladder’. We ascended! The audience was spell-bound at his highly professional, thoughtful, manner of presentation, seemingly managed without the need for notes. It was erudite, but always clear, and led us upward by steps towards the summit of Masonry to be found within the Royal Arch. God is a verb. A choice of three breakout sessions followed. Our own Allan Shields led a discussion on how to prepare for Mastership of a Lodge. Peter Smith, PM of the Installed Masters in Leeds, reflected on his experience in ‘What’s in it for me?’. John Acaster, in his half-hour session, asked the question ‘Are you a ‘bright Mason’? and received a variety of good answers as to what constituted ‘brightness’ in Masonic terms. A second set of breakouts followed. Steven Reid, a former Deputy Grand Superintendent, told us of his approach to the Royal Arch and we were challenged to describe its qualities, strengths and difficulties. John Belton, a writer ad also a member of Quatuor Coronati, provided the fruits of his research into ‘Building yourself an inexpensive Masonic library’. Richard Johnson, of vast experience across four Provinces and the State of Utah, expanded upon the key importance of good practice, spiced with variety. The Conference was concluded and summed up by Chris Powell after an uplifting day thoroughly enjoyed by all who attended.